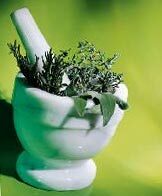 The consumption of Herbal products has great significance as alternate medicine with out side effects. In view of the demand for the above products Vignesh Pharma could achieve a break through in meeting the global demand in their bulk form as extracts and formulations. The focus mainly is on anti-diabetic, anti-obesity, anti-arthritic and potency enhancing categories in their capsules and tablet forms. Extract of 500mg of raw Shilajit.